LOVE. is in the air. 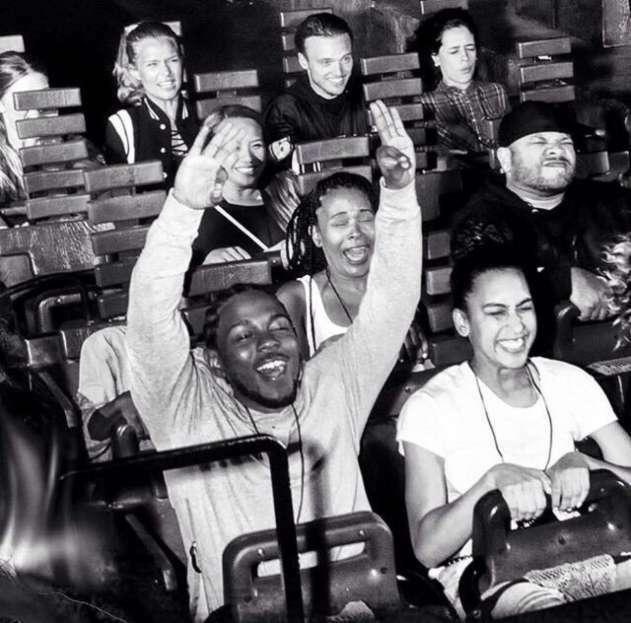 Kendrick Lamar’s private life is certainly a mystery to behold. As one of the most prolific hip-hop artists of all-time, he’s worked hard to keep his private life out of the public eye. 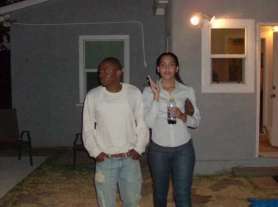 However, it’s no secret that he has a high school sweetheart and her name is Whitney Alford. 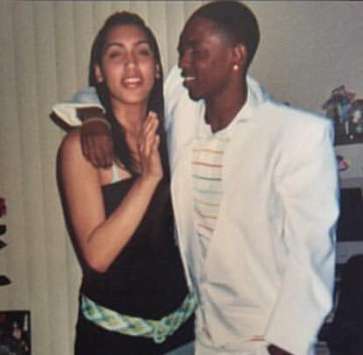 Born and raised in Compton, Whitney and Kendrick fell in love during their time together at Centennial High School (fun fact: Kendrick shares his alma mater with Dr. Dre). More than a decade later, the couple is still holding strong with a wedding in the works and a bright, love-filled future. Naturally, curiosity got the best of us and we set out to find out what we could about this sweet couple. The pair made one of their first public appearances back in 2014 at the 56th Annual Grammy Awards where he was nominated for seven awards. Needless to say, these two clean up very nicely. 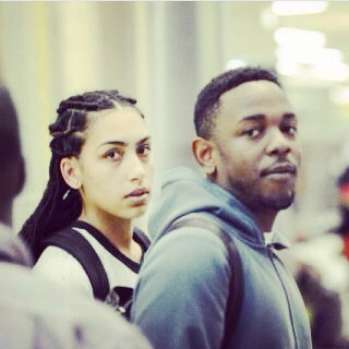 A year or so later, Kendrick was spotted out and about with his bae following close behind. But it wasn’t just an ordinary day. If you look closely enough, Whitney is sporting a huge rock on her left ring finger! Clearly there’s more to this story. 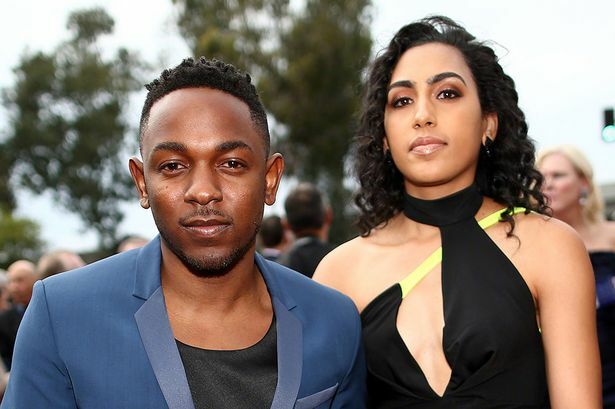 On that same day, Kendrick dropped his smash hit single “King Kunta” which features background vocals from none other than his bride-to-be. The more you know! Yeah, definitely. I’m loyal to the soil … At the end of the day, you want to always have real people around you, period. Everybody that’s been around me, they been around me since day one, and I can’t change that. I always show respect when respect has been given. People that been by your side, you’re supposed to honor that. 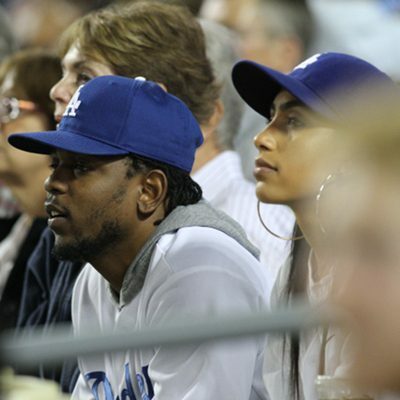 The newly engaged couple spends the night cheering on the LA Dodgers with Kendrick joining in on the action by throwing the ceremonial first pitch. Once again, Whitney stands with her man through all his many accomplishments. 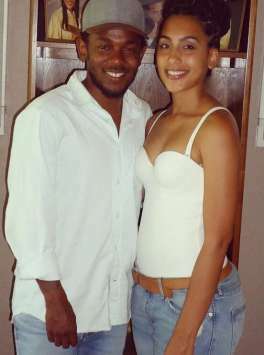 Together, they visited the California State Senate as Kendrick was granted the honour of California Generational Icon. Another casual date night at one of the year’s biggest award shows. This time, the BET Awards. 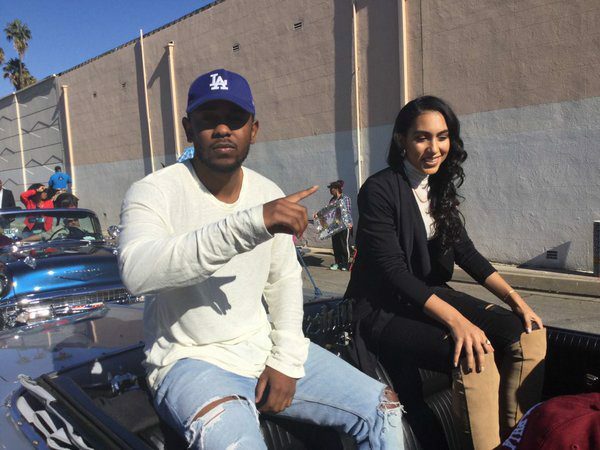 The two celebrated Christmas in style as distinguished guests in the Compton Christmas Parade. Compton just can’t get enough of their hometown hero. 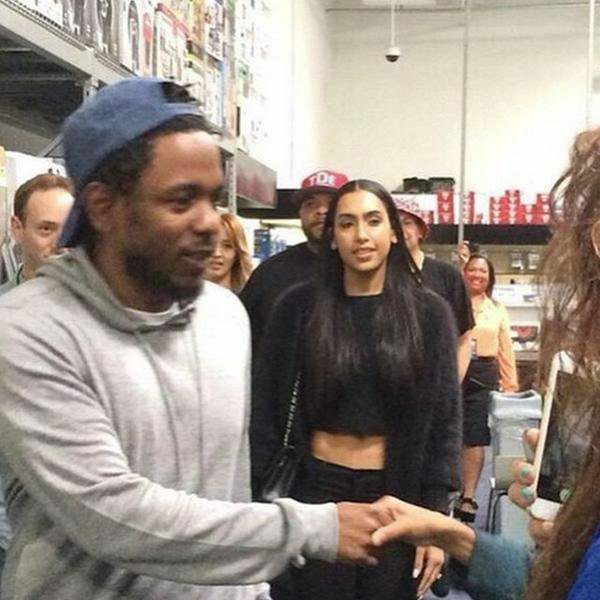 It wasn’t long before they gifted Kendrick with the Key to the City and obviously Whitney was there to show her support. 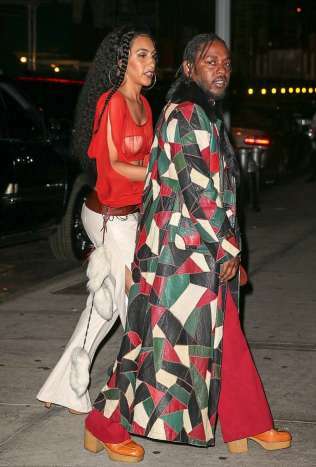 It wasn’t long before Kendrick and Whitney became award show regulars; attending the 58th Annual Grammy Awards in 2016. No one celebrates birthdays quite like Beyoncé. To celebrate 35 times around the sun, she invited the best in music to her “Soul Train” themed party. 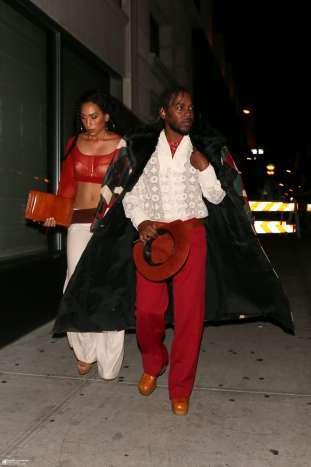 And of course, Kendrick and Whitney brought their A game. 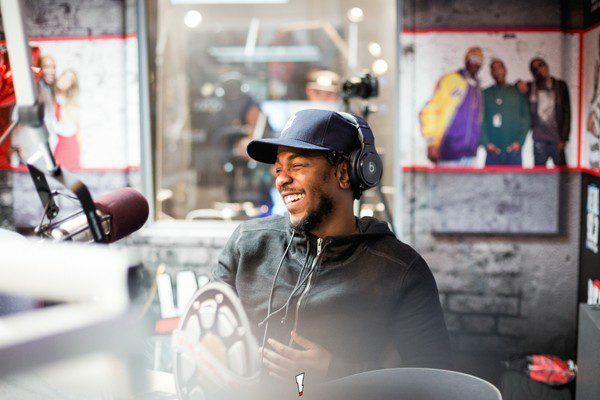 After much anticipation, Kendrick finally dropped his fourth studio album DAMN. and needless to say, he did not disappoint. Included on the album was the passionate romantic jam “LOVE.”. Although it has never been confirmed, the only plausible inspiration for the track is Whitney. But don’t take our word for it, listen for yourself. Most recently, the duo graced the Grammys with their presence for a third time. 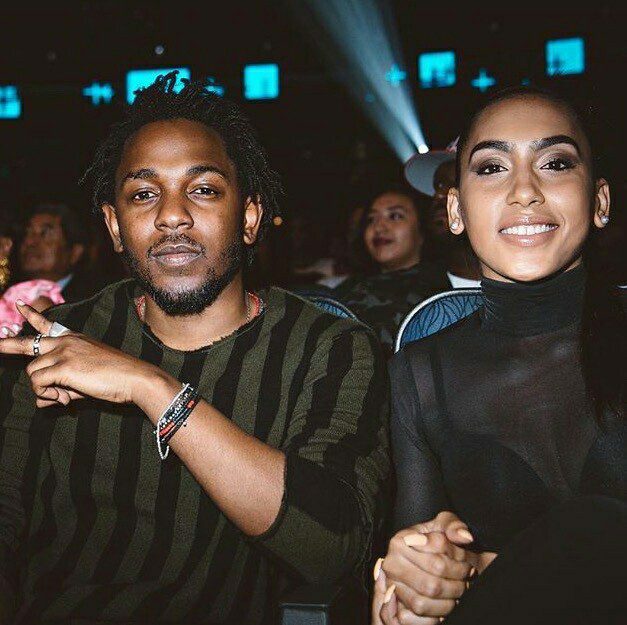 Kendrick may not have taken home Album of the Year but the real prize was sitting by his side all along. We’re so excited to see what the future holds for this adorable couple. And can you imagine the type of music Kendrick has coming for us after marriage? And maybe even fatherhood? We’re not ready. Which musical couple do you want us to chat about next? Leave your pick in the comments below or over on Twitter @umusic!